LaPORTE — The LaPorte Redevelopment Commission has unanimously approved a more than $30 million project for NewPorte Landing, property where Allis Chalmers used to manufacture farm equipment. Officials consider the development with 200 residential units a game changer for the nearby downtown. “I don’t think you can overstate how important this is and the impact this is going to have in the next few years,” said Bert Cook, executive director of the Greater LaPorte Economic Development Corp.
Flaherty & Collins Properties, from Indianapolis, is behind the project. The firm has similar developments in places as close as Mishawaka and Elkhart and as far away as Washington, D.C., and Kansas City, said David Flaherty, one of the owners of the company. The company manages more than 115 other properties containing about 18,000 units in 12 states, he said. Two buildings of about 17,000 square feet will be built at Hoelocker Drive and Truesdell Avenue beside Clear Lake. Flaherty said the main level of each brick exterior structure will consist of retail. One- and two-bedroom housing units will be located in the three upper levels of each building. 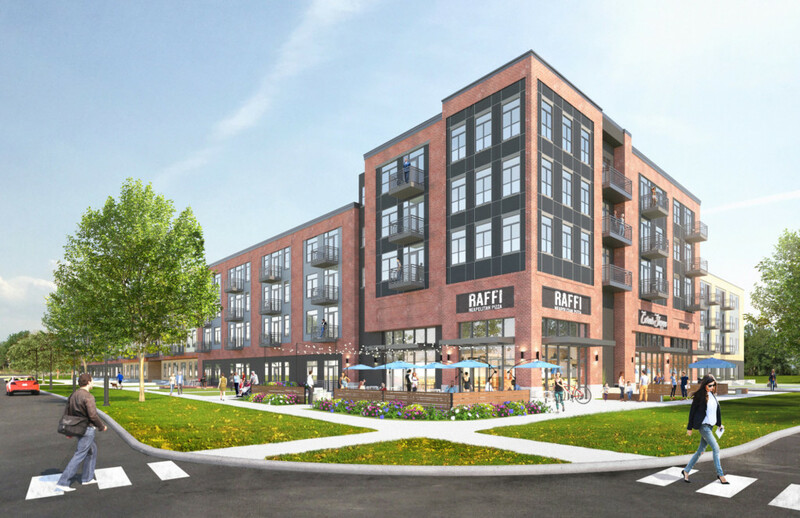 “We look at these as major economic development catalysts,” said Julie Collier, vice president of development for Flaherty & Collins Properties. Cook said the development combined with the new Dunes Volleyball Club at NewPorte Landing should help draw traffic to the downtown. “It’s a huge project for LaPorte. This is the type of project that gains momentum for other new projects as well,” Cook said.